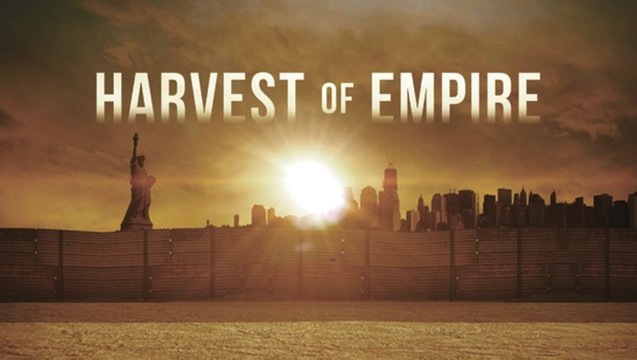 “Harvest of Empire” & “Dirty Wars” Among Films Honored by American Library Association | Democracy Now! The Oscar-nominated documentary “Dirty Wars,” based on the book by investigative journalist and former Democracy Now! producer Jeremy Scahill, is also listed. The film follows Scahill to Afghanistan, Somalia and Yemen as he chases down the hidden truths behind America’s expanding covert wars. Watch our interview with Jeremy Scahill and “Dirty Wars” director Richard Rowley. Watch our interview with Joshua Oppenheimer, director of “The Act of Killing.” The film is set in Indonesia, where, beginning in 1965, military and paramilitary forces slaughtered up to a million Indonesians after overthrowing the democratically elected government. Oppenheimer works with the Indonesian death squad leaders to re-enact the real-life killings in the style of American movies in which the men love to watch. In 2014, we aired clips from the documentary, “The Internet’s Own Boy: The Story of Aaron Swartz.” Watch the interview with Swartz’s father Robert, his brother Noah, his lawyer Elliot Peters, and filmmaker Brian Knappenberger. Forty years after the landmark Roe v. Wade case that legalized abortion, the documentary “After Tiller” follows the only doctors left in the United States who are known to provide abortions in the third trimester. In 2009, their colleague, Dr. George Tiller, was assassinated while attending church in Wichita, Kansas. Watch our 2013 interview with the directors of “After Tiller,” Lana Wilson and Martha Shane. The film “Through a Lens Darkly: Black Photographers and the Emergence of a People” explores how African-American communities have used the medium of photography to shape how they are represented. Watch our interview with Thomas Allen Harris, who directed and produced the film. The documentary “5 Broken Cameras” tells the story of a Palestinian farmer who got a video camera to record his son’s childhood, but ended up documenting the growth of the resistance movement to the Israeli separation wall in the West Bank village of Bil’in. Watch our interview with the film’s directors, Emad Burnat, a Palestinian, and Guy Davidi, an Israeli. “Mea Maxima Culpa: Silence in the House of God” investigates how a charismatic priest in Milwaukee abused more than 200 deaf children in a Catholic boarding school under his control. Watch our interview with Oscar-winning filmmaker Alex Gibney. “Who Is Dayani Cristal?” examines the story of a Honduran migrant who died in the Arizona desert in 2010. Watch our interview with the film’s director, Marc Silver.